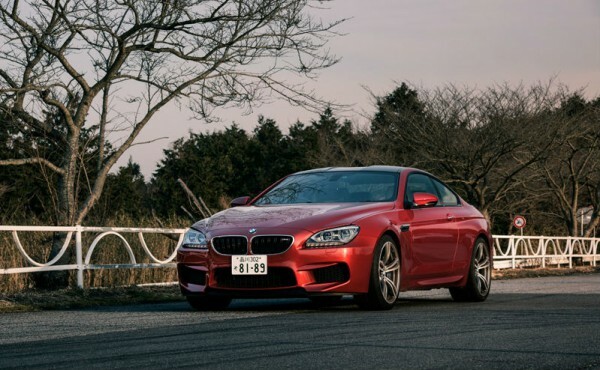 For since it came out, it has been our wish to take a closer look of the BMW M6 Car, so that we can compare its performance and look with other cars. But, which cars? The problem we encountered is finding a potential opponent. Firstly, we thought about the 911, but then we would be talking about two completely different types of cars, which would not be fair. Then, we thought about the Mercedes Benz SL63, but then we should take the M6 convertible so that we take these vehicles to the same level. 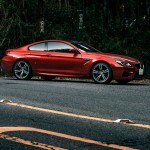 Nevertheless, we are still going to share some info about the M6. 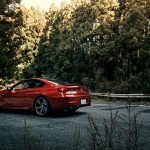 It is not a traditional 6 series vehicle. It has very refined and modified shape. The headlights are greatly designed and the position of the LEDs, as well as their design is immaculate. The BMW M6 Car features a 8V engine. What makes this car particularly interesting is its weight. Believe it or not it weights a little less than 2 tons! But, nevertheless, this car is very attractive and looks very combative. This car just has it all! It looks dangerous, but it still is very secure, and it seems sporty, but it is very elegant and opulent. As for the engine, we mentioned that it has an astonishing 4.4 liter V8 engine able to produce 560 hp and an unbelievable torque of 680 Nm, i.e. 501 lb/ft. The motor is real BMW`s masterpiece. It has all; cross-flow exhaust manifolds, direct injection, turbochargers, coolers and more. Its speeding is very good and it is a fuel-efficient vehicle. Let`s pay a bit attention to the interior. The leather seats and the seat adjustment options offer passengers unimaginable comfort. Furthermore, the interior includes all kinds of gadgets such as Bluetooth audio system, Olufsen audio system, navigation system, digital TV, DVD player and more. Everything is placed in the right spot with the iDrive controller being in the center. 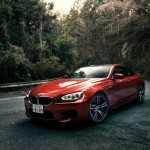 With the BMW M6 Car you get two in one. You get a great car for highway rides, but with one switch on the button you get a crazy racing machine. 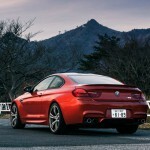 There is another M6 Grand Coupe version that is available on the market. The thing is that these two cars lack of competition on the market. All in all, they are a completely separate clan. Finally, you must see these insane features that this car possesses on this link!